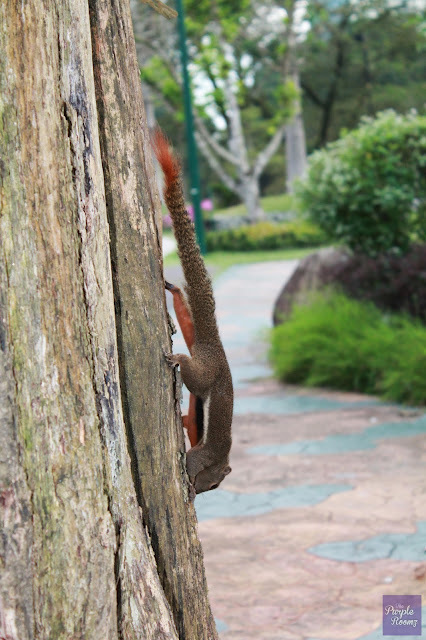 There you go..i can see u.. Try to get closer..just use EFS kit lens 18-55mm. 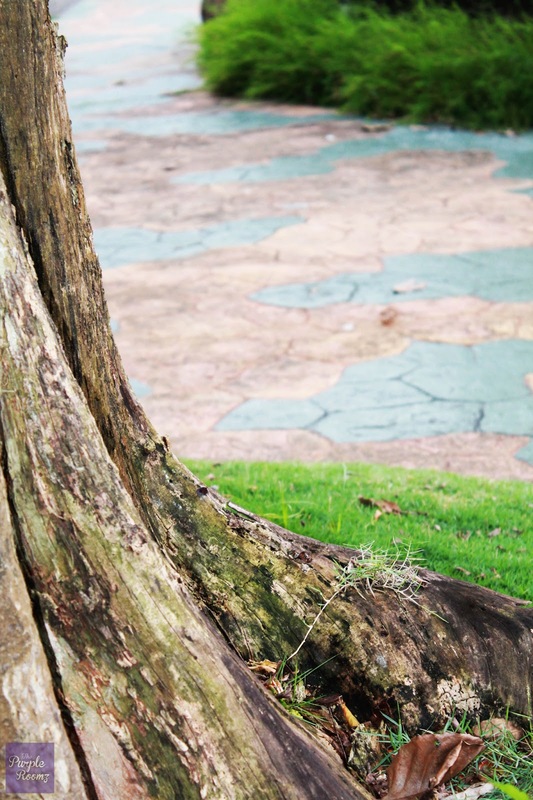 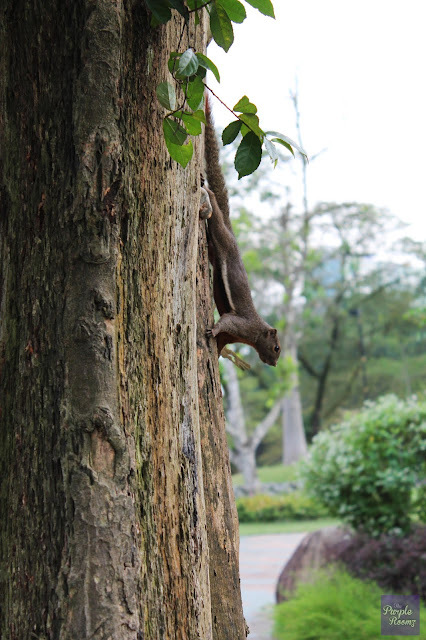 U got my picture closer now..
Place : Taman Tasik Perdana, KL. 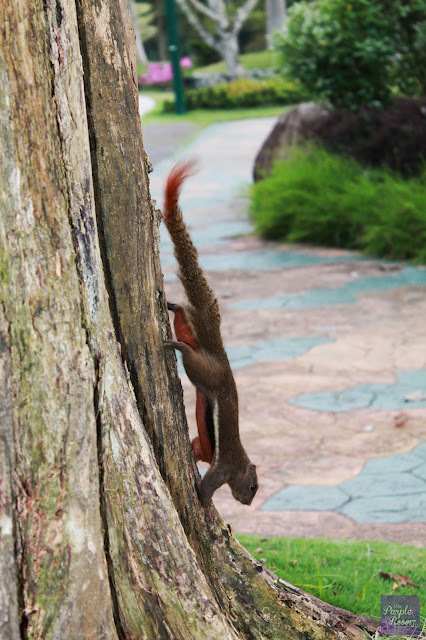 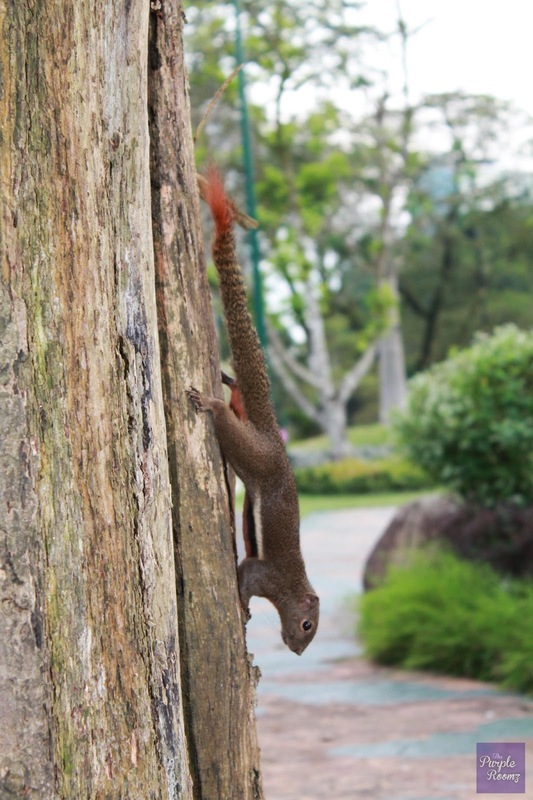 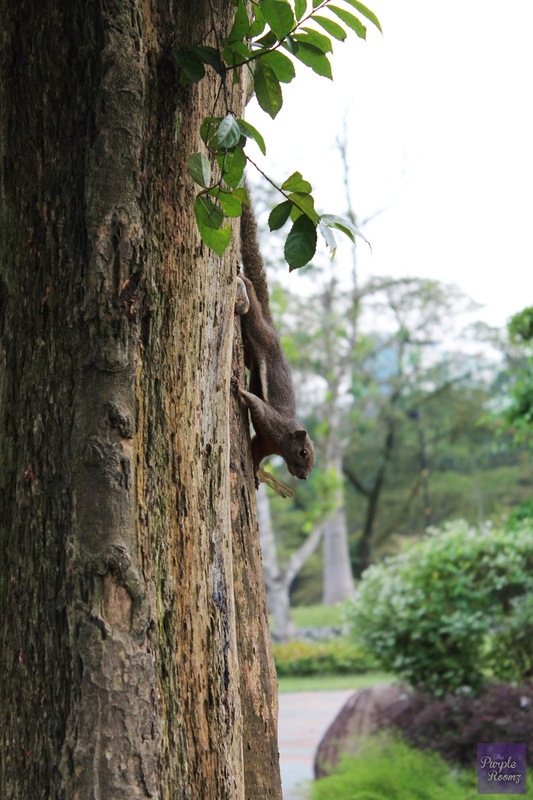 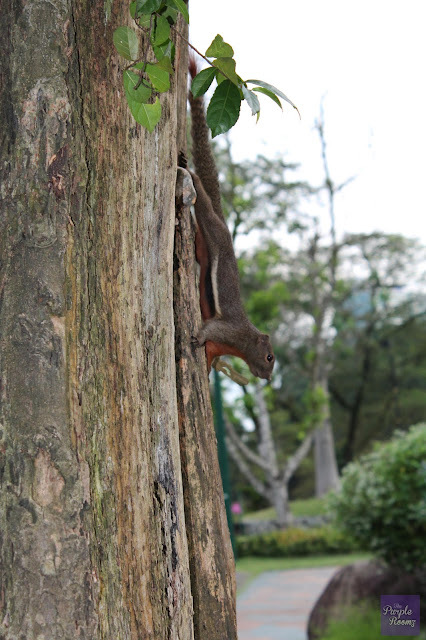 Actually I came for jogging at this park..on Sunday evening..Suddenly my hubby saw the squirrel and ask me to shoot.So I just get the camera and quickly catch the cute squirrel scene..
Squirrels belong to a large family of small or medium-sized rodents called the Sciuridae. The family includes tree squirrels, ground squirrels, chipmunks, marmots, flying squirrels. ini apa sih? tupai yaa?